Abiro IoT is integrated with Sensative‘s IoT platform Yggio and Microsoft Power BI. Access is provided to Abiro and Sensative customers on request. There’s no self-service registration at the time being. Initially developed by Abiro AB during mid 2017 with only logging and visualization via a list. 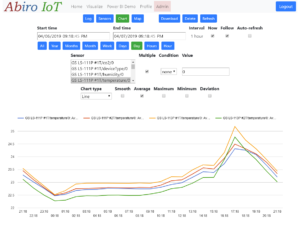 Turned into a semi-pro IoT logging and visualization application, as well as a Power BI forwarder, during March 2019 in collaboration with Sensative AB.